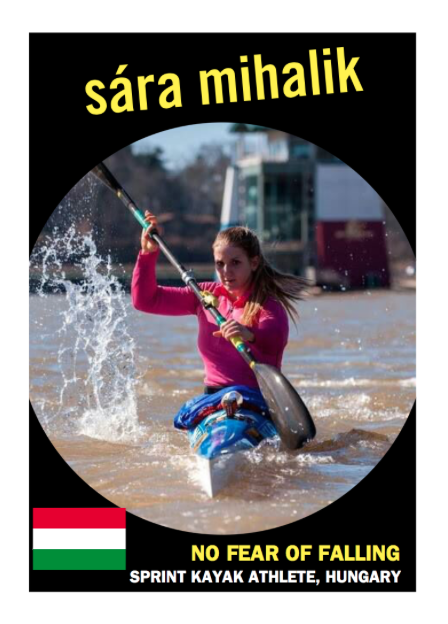 In this episode, we head to Hungary to speak to SARA MIHALIK, a sprint kayak racer for the U23 National Team squad for the kayaking powerhouse of Hungary. She is a strong up-and-comer within her country, aiming for the 2020 Olympics in Tokyo, and currently has a crowdfunding campaign going on over at MAKEACHAMP to raise funds for training, travel and a new racing boat. She is a multiple national champion in Hungary, and has enjoyed success on the international stage as well, with podium results at the 2012 Olympic Hopes competition, the 2016 U23 Marathon World Championships, and the 2016 Senior Marathon World Championships. She has been able to do this while juggling a university studies workload at Szent Istvan University (Agricultural Engineering) which any studying athlete will tell you is not an easy feat. We talked about her journey to get where she is now, hypothesized about the reasons for Hungary’s dominance in sports that involve water, how the words and actions of her coach have inspired her to push harder, and how your failures give you an opportunity to understand yourself in a purer form than any situation could.